Alta Short Shift Kit MINI - Dezod Motorsports Inc - Home of the automotive performance enthusiast since 2002. 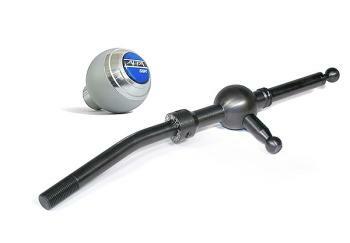 Get even more control of your MINI with an ALTA Performance Short Shifter. Go short for cruising or super-short for sprinting. Or turn the shifter “in” for a new driving experience. Shifter adjustments are done from the comfort of the cockpit with no need to access the underside of the Cooper. Made from hardened, alloy steel. Includes mounting hardware, instructions and your choice of an ALTA Performance Shift Knob or Stock Shift Knob Adapter.